We are pleased that the work of individuals based at, and associated with, Alliance institutions has been recognised in the Queen’s Birthday Honours list this week. 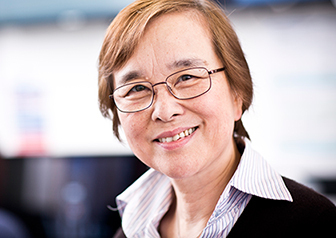 A University of Huddersfield professor was made a Dame: Professor Xiangqian Jiang – known as Jane – was awarded a DBE for her world-renowned work on metrology – the science of measurement. Jane is the director of the £30m Future Metrology Hub, based within the university’s Centre for Precision Technologies (CPT). Its mission is to develop new technologies and methods integrating measurement science with design and production processes, to aid the development of digital, high-value manufacturing. She has made a remarkable journey from challenging beginnings in Chairman Mao Tse-Tung’s China – her parents were doctors in Shanghai, but lost their homes and careers during the Cultural Revolution in the late 1960s. Aged 15, Jane was put to work on a production line in a factory making buses and remained there for almost 20 years, but she was determined to educate herself and become a scientist. Read her incredible story here. 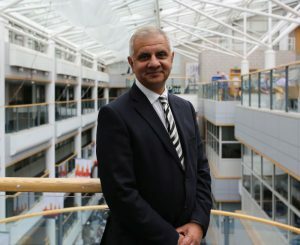 The honours also recognised a human rights champion from Sheffield Hallam University: Sital Dhillon, the university’s Head of Law and Criminology, has been awarded an OBE for his commitment to furthering education and human rights. A barrister specialising in human rights, he worked in over 35 countries during his diplomatic career with the British Council. He joined the university in 2010 where he has transformed the performance and practice of its department of law and criminology, widening opportunity for students, 40% of whom come from low income households. This year, the department was voted the best provider of legal education by a panel of peers. Sital also established, with Baroness Helena Kennedy, the Helena Kennedy Centre for International Justice at Sheffield Hallam, which delivers applied research, projects and teaching on themes focused on international justice and human rights. Read more about his achievements here. Commenting, he said: “This award would have not come to be without the inspirational people I have worked with at Sheffield Hallam – where we seek to transform the lives of our students – and at the British Council. I’m especially grateful to those inspirational human rights champions across the world with whom I have been fortunate enough to learn so much during my career”. There was also an OBE for a nursing expert from the University of Greenwich. Dr David Evans, a senior lecturer, was awarded the honour for services to nursing and sexual health education. 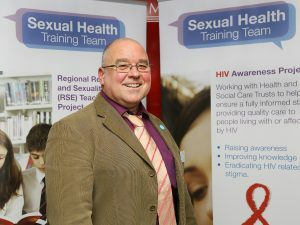 One of the country’s leading authorities on sexual health theory, he has developed a widely acclaimed course for health professionals. Read more here. 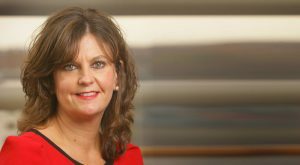 An OBE was also awarded to Professor Jane Turner, who leads on Teesside University’s business and enterprise activities. Under her stewardship, Teesside is the only institution in the North East of England to have received a commendation by the Higher Education Funding Council for England (HEFCE) for its knowledge exchange strategy. She has also helped to embed a string of innovative new home building courses in partnership with architect and TV presenter George Clarke and is driving forward plans for the £22m National Horizons Centre, scheduled to open in Darlington in 2019, which will focus on developing the technologies of the future. Two leading champions of diversity, inclusivity and widening access to higher education from Kingston University have also been recognised for their achievements – alongside an academic whose pioneering research is helping stroke survivors regain their independence. 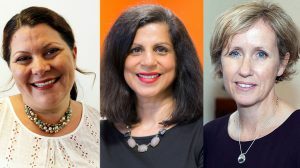 Kingston University’s newly appointed Director of Student Achievement Nona McDuff was awarded an OBE for services to higher education, while Head of Widening Participation Jenni Woods and Fiona Jones, Professor of Rehabilitation Research, have been awarded MBEs for services to widening access to higher education and services to stroke rehabilitation respectively. 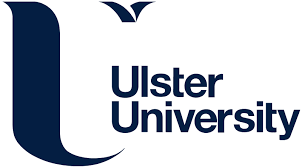 Ms McDuff, who is Director of the University’s Equality, Diversity and Inclusion team, said she hoped her recognition in the honours list would shine a light on the important equality and diversity activity being stepped up across British higher education institutions. “My career to date has been dedicated to trying to help people from all backgrounds achieve their very best at University”, she explained. Jenni Woods, who has worked at Kingston University since 2001, leads a team dedicated to encouraging people from under-represented groups to move on to HE. She was instrumental in designing and leading the university’s Compact Scheme, which supports more than 1,000 students each year from marginalised and disadvantaged groups, providing tailored assistance from entry to employment. Professor Fiona Jones’ career has been dedicated to helping people recover following stroke, brain injury and long-term neurological conditions, with a strong focus on person-centred care. She is the founder and CEO of Bridges Self-Management – a leading programme which aims to help stroke survivors become more involved in their own rehabilitation – and also leads a project funded by the National Institute for Health Research, looking at how to help patients on stroke units play a key role in their own recovery. You can read the full story about these three honourees on Kingston University’s website. Ajaz Ahmed, Mentor, Mosaic Network and Council Member/Advisory Board Member, Huddersfield University, for services to young people.